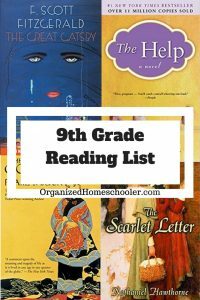 Homeschooling high school for the first time can feel daunting. Maybe even scary. It feels like this homeschooling thing just got REAL. Your child’s future looms ahead and you don’t want to screw it up. How can you make sure you don’t forget something important? 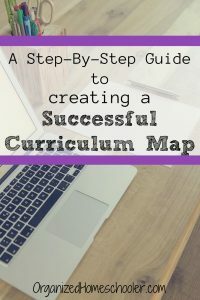 By creating a homeschooling high school plan. 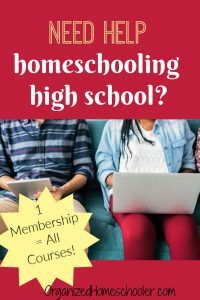 I think beginning to homeschool high school feels intimidating for just about everyone. 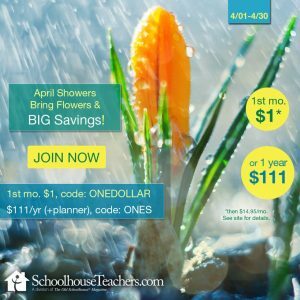 We have homeschooled for 8 years now and I was a classroom teacher before having children. I generally feel pretty confident about making educational choices, but I laid awake at night thinking about high school. Why does homeschooling high school feel so scary? Well, we want to protect our child’s future. We don’t want our own shortcomings to hold them back. Choosing not to go to college is one thing, but not being able to get in because of missing high school classes is quite another. Homeschooling high school requires parents to add the role of guidance counselor to their job title. I honestly think this is why so many homeschool families choose to send their children to a traditional school for the high school years. In the elementary and middle school years you get to make all of the decisions. You decide what your kids need to learn. You don’t have to follow any set standard if you don’t want to (unless required by your state). I mean, my kids spent an entire semester learning about chocolate this year! You won’t find that class offered in a traditional school. In high school each year no longer acts on its own. It contributes to a larger goal. That goal might be college, trade school, joining the military, or going straight to work. 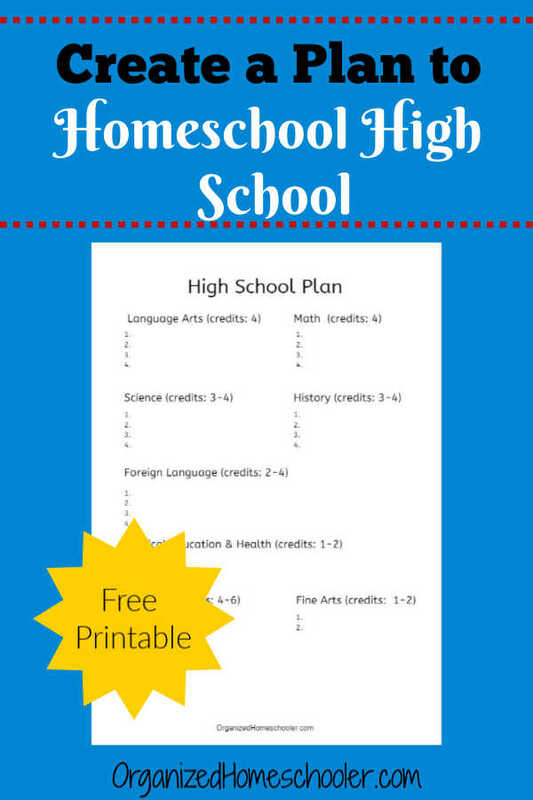 Creating a homeschooling high school plan lets you approach the high school years with confidence. Follow the graduation homeschool requirements for your state. Most states do not have specific requirements. Research the college admission requirements for schools your children are interested in attending. In North Carolina, public colleges follow the UNC minimum admission requirements. Check out the admission page of all the colleges your child might attend. Look up the high school graduation requirements for public schools in your area. 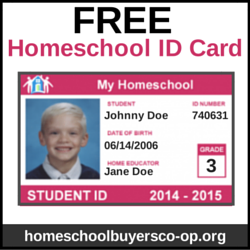 Ultimately, you set the homeschool graduation requirements for your homeschool. My daughter plans to go to college after graduating high school, and we live in NC, so I chose to set our graduation requirements slightly higher than the UNC minimum admission requirements. You do not have to follow my plan! You have the freedom to adjust the ‘required’ classes based on your child’s goals. Print out a copy of the High School Plan worksheet and start listing your non-negotiables. The non-negotiables are the classes that you feel your child absolutely must complete before graduating. I suggest doing this in pencil. You can absolutely change course later, but this gives you a framework. Jotting down the key courses will insure that you don’t forget about a class you want to teach. 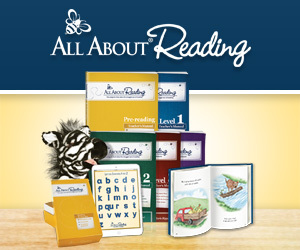 There are so many awesome homeschool curricula and it can be really easy to get distracted. One benefit of listing out all of the classes you intend to require is that you can get a sense of the long range picture. Perhaps a trip will line up with a certain curriculum. Maybe you want to teach world literature and world history in the same year. My family is planning to teach civics and economics during the next presidential election because of the natural tie ins with real life. Knowing when I want to teach this subject helps me plan my history course sequence. Don’t feel like you need to plan every single class for all four years of high school before even starting 9th grade. List your non-negotiables, courses your child wants to take, and then leave blank space. You can update this high school plan as often as necessary. One of the key benefits of homeschooling is the flexibility to create a custom education tailored specifically for our children. I believe this is possible even with a high school plan framework. 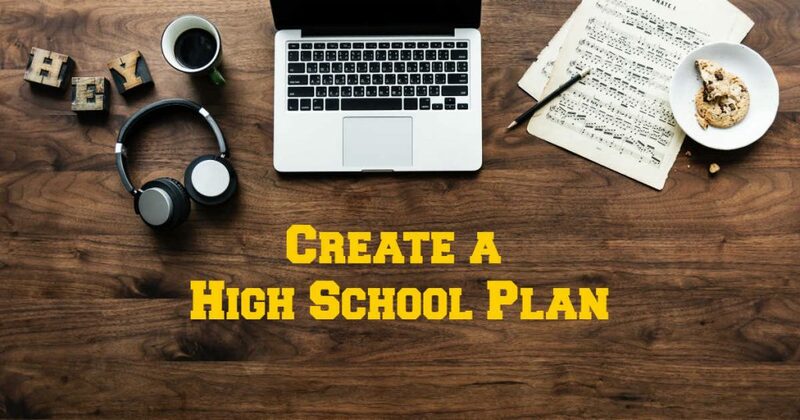 Leaving blank space in a high school plan allows your child to pursue interests and develop talents. Fine arts and electives are a great place to encourage interests. There are so many options! A homeschooling high school plan is intended to reduce stress by approaching teaching high school in an organized manner. 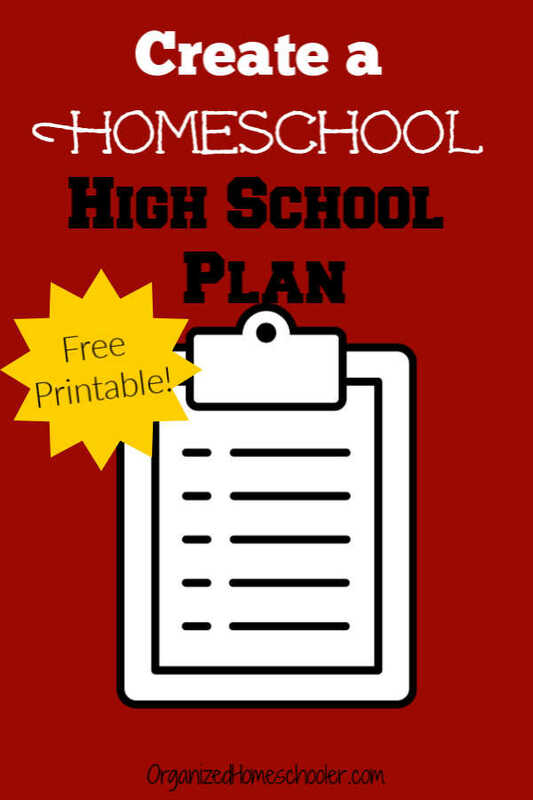 Share this post with anyone who needs help creating a homeschooling high school plan.